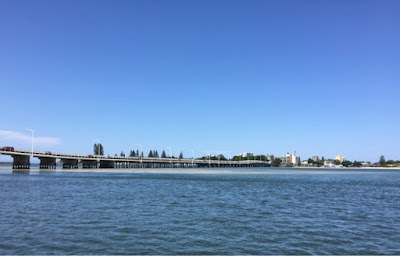 The last couple of days have been spent in Tuncurry which is another coastal town, this time in the Great Lakes area, about 308km north of Sydney. It is connected by bridge to its twin town of Forster, which is the larger of the two. 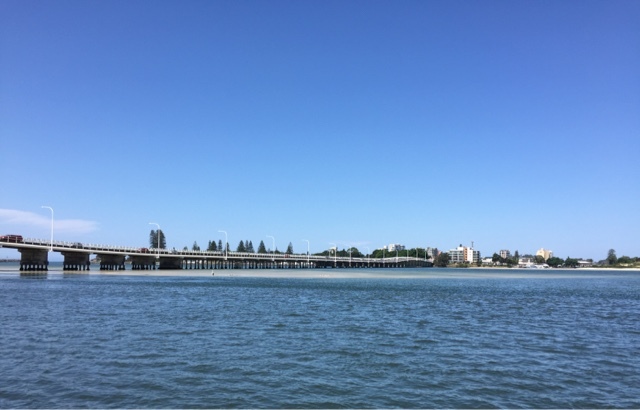 We decided to have a couple of lazy days while in Tuncurry with just a bit of fishing and enjoying the nice warm weather. 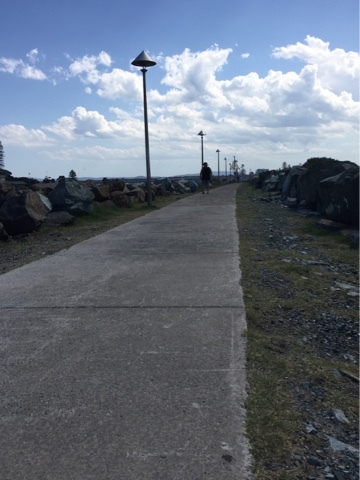 Yesterday we decided to go for a walk along the breakwater wall. As we set off the skies were blue with not a cloud in sight. As we headed back a little black cloud started heading our way. 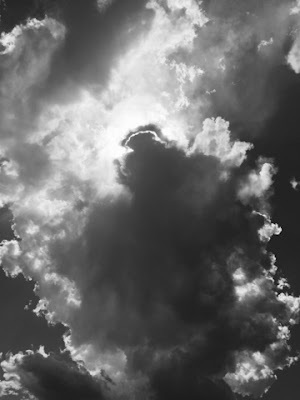 It grew and got blacker but was still only one cloud in a totally blue sky. Then all of a sudden the huge rain drops started falling, as we ducked for cover under a tree the heavens (actually it was still the one cloud) open up!! The rain certainly didn't last long at all and we headed back to the car. 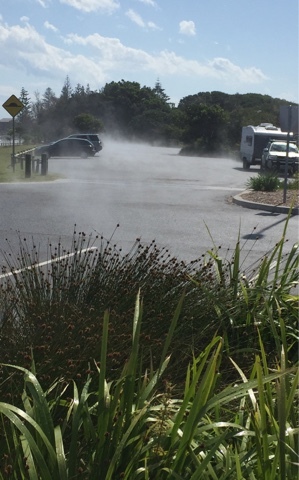 That was when we noticed the steam coming up off the still hot road. It was such an eerie sight it was like someone had turned on the steam machine.